Mews Tavern has been something of an icon in Rhode Island’s South County for decades, but its proprietors wanted to take its efficiency and guest loyalty to new heights. And when they concluded their search for a partner to get them there, they landed on TableUp. With streamlined Front of House operations and a customized Loyalty program, the staff at Mews has seen significant results surrounding guest spend and engagement. 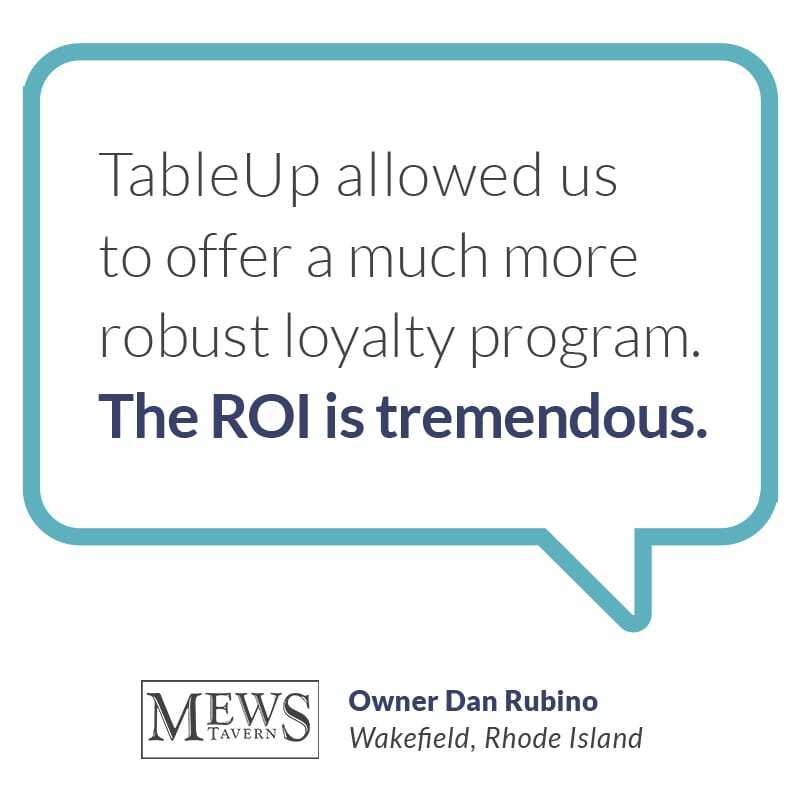 Download the Case Study for more information on the difference Mews Tavern has seen since implementing the TableUp solution. It's simple. A higher table turnover means more guests in your restaurant.